You’re here! 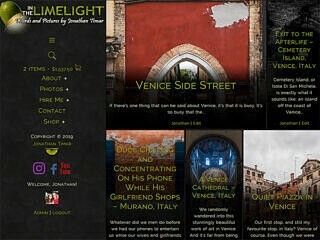 This is my personal and portfolio website for my photography and web design services. It’s also my testing ground. It’s built on my own custom WordPress framework, and is fully responsive and optimized for all the latest WordPress features. 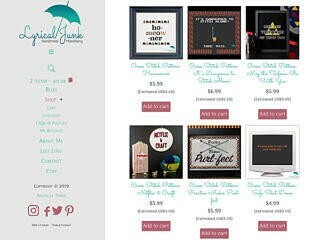 Lyrical Junk is an online store and blog centred around crafting. 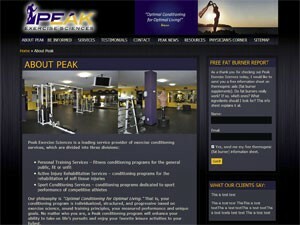 It features a fully responsive design that adapts fluidly for optimal appearance and functionality on any device. It features and online store built on WooCommerce and has been optimized to take full advantage of the features offered by the latest version of WordPress, including the new Gutenberg editor. 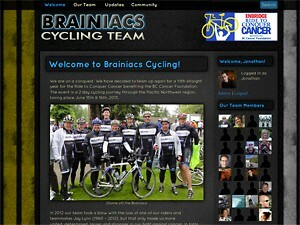 The Brainiacs Cycling team is at the time of this writing the largest team participating in the Enbridge Ride to Conquer Cancer. Its membership is incredibly diverse, with riders from every age group and every skill level, from all walks of life united by one cause. The website features a road-bike inspired design and features and online store and community features. When Claudia of etc. 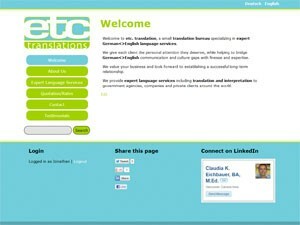 translations contacted me looking to have her website re-designed, I knew a fresh, clean approach was in order. Using her newly designed logo as inspiration, I completely revamped the site from top to bottom. I dispensed with the text heavy design from the 1990s and created a sleek and modern minimalist design in it’s place, complete with instant switching between English and German. Matt already had a website for his company, but he was looking to upgrade to a more up to date and eye-catching design. So in the process of converting his site to WordPress I gave it a complete makeover to better align it with the image he wanted to project for his business. Monny owns a very unique store in the Kitsilano area of Vancouver in which he sells high-end designer eye-wear with a unique twist; his store is also an art gallery. 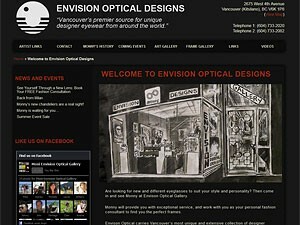 Envision Optical had a website in the past, right up until GeoCities shut down. Monny wanted the site to look “just like the old one”, so I set out to remain true to the original feel, while at the same time modernizing its functionality.